Like onboard Wi-Fi itself, Mobile Onboard is a rapidly developing entity. 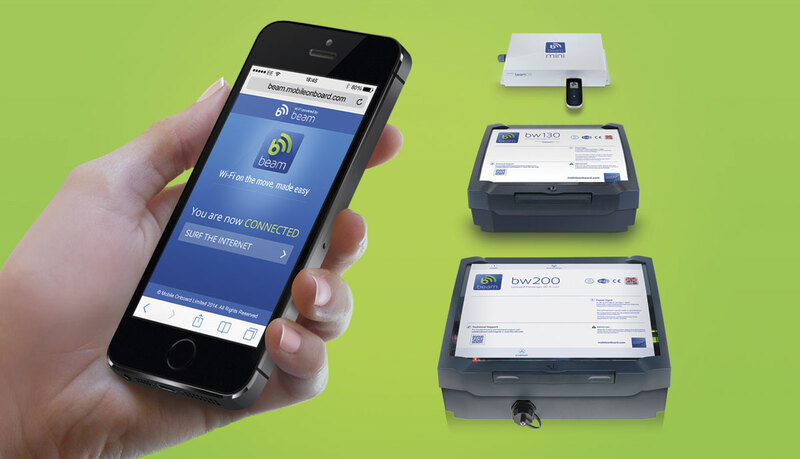 Specialising in the supply of Wi-Fi and mobile ticketing solutions for PCV applications, the company is heading towards exciting new horizons, having introduced a number of developments and enhancements to its products and services of late. With the technology it provides becoming ever more common on buses and coaches, it is looking to achieve even more advances and is on the verge of making some big decisions. With this being the case, Chris Peat met Retail Operations Manager, Katie Luckwell and Director of Marketing and Product Development, Corbin Adler, at its headquarters on Southampton Science Park. One of Mobile Onboard’s latest developments is the launch of a purchase lease option for its Beam onboard Wi-Fi units. 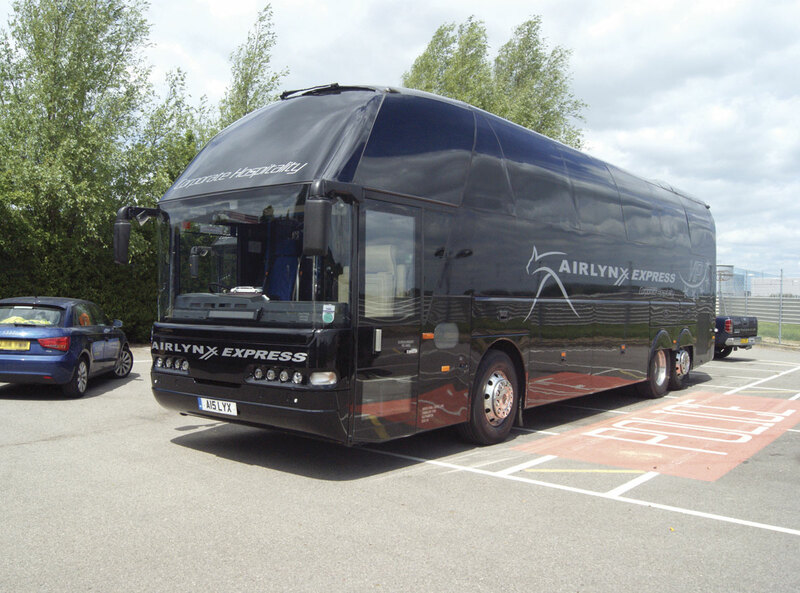 The product itself is designed for use on all public transport vehicles, from minibuses to the largest touring coaches. Now its cost can be spread out in regular payments through new lease purchase plans. 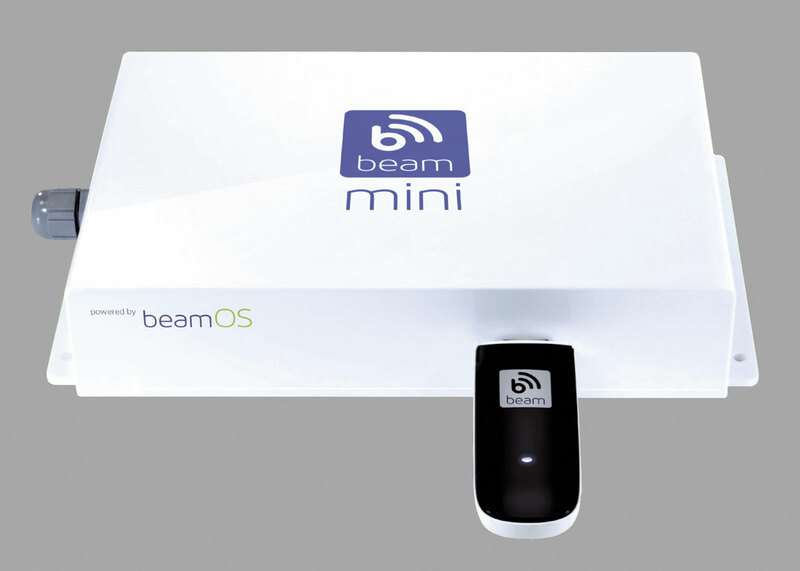 All data schemes and the Beam CARE after sales service can be included in the payment package. Announced only in May this year, Katie said this has already gained some interest and she has already sent quotes out for it. One of the biggest developments that has helped Mobile Onboard’s turnaround in terms of sales is its introduction of flexible data plans, according to Katie. These data plans eradicate the need for operators to commit to a fixed term contract, typically 24 months. This has proved particularly attractive for coach operators due to the seasonal nature of their work. 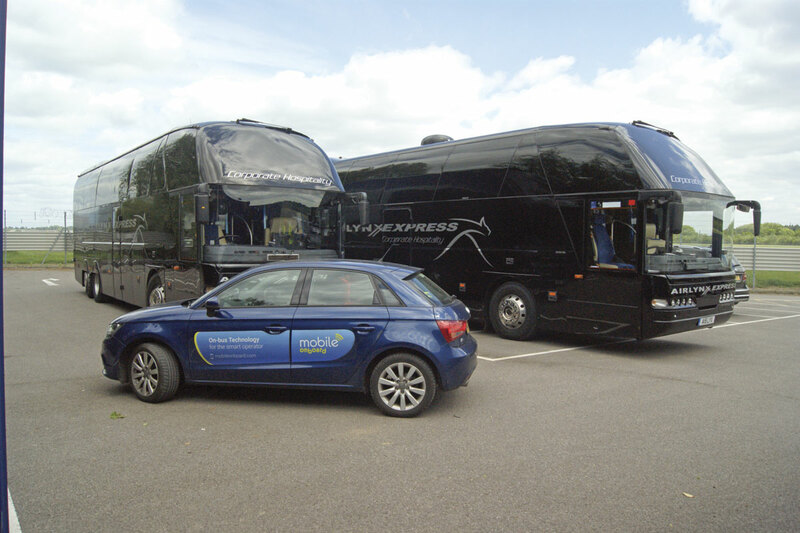 Another growing customer base when it comes to supplying Wi-Fi units is tour companies. It has gained some big, well known clients in this area. Again, the flexible data plans prove popular with these customers as the work tends to be largely seasonal. With its efforts to make onboard Wi-Fi more accessible, as well as the various payment options it provides, there is no surprise that it has not only grown customer numbers in the UK, but abroad too. Flexibility in data and payment is one of the factors behind this. Interest is now being gained in the Republic of Ireland, with Katie visiting the week prior to my visit. It is working with a re-seller in this country, which is proving to be one of its biggest areas of growth geographically. Another reseller is operating in Cyprus, which Katie said is ‘doing really well’. 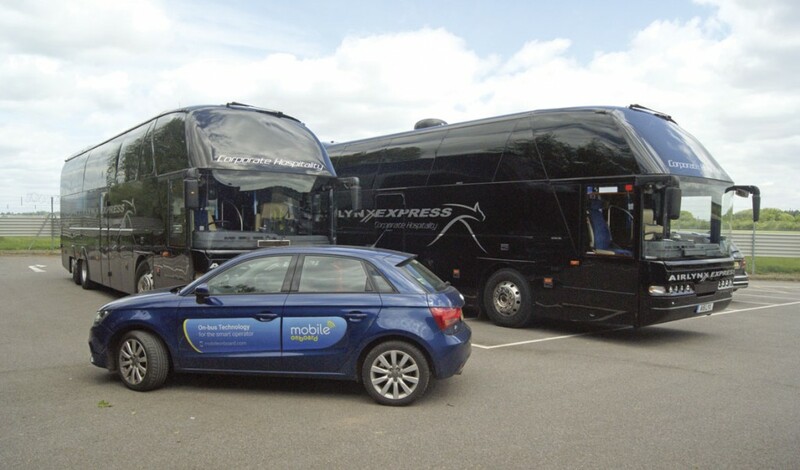 Mobile Onboard has even sold a Wi-Fi units to a coach operator based in Australia, while a lot of enquiries have come in from Singapore, the US and New Zealand. Although interest is now coming in from abroad, the company shows no signs of shifting its vision away from these shores. On the contrary, it is strengthening its base of operations here, with plans to update its assembly facility, which is also located in the Southampton Science Park. Corbin said people are surprised to learn the equipment is all built in the UK. Extra staff may also be taken on as demand continues to grow. ‘It’s not just about selling a Wi-Fi box or a ticketing app, it’s a lot more than that…It’s about making people feel they are getting value for money out of their travel.’ – Katie Luckwell, Retail Operations Manager. Mobile Onboard has certainly come a long way since it started offering its Beam Wi-Fi system around four years ago. Prior to that, it was involved with Bluetooth marketing on buses, which Corbin said proved popular, attracting some big advertising campaigns with customers such as Walkers and Lynx. They were doing some ‘very clever’ stuff with this, he said, but the next wave of smartphones killed this off. This was the turning point when the company started developing Wi-Fi systems for buses. There is a lot of experience in the Mobile Onboard team. 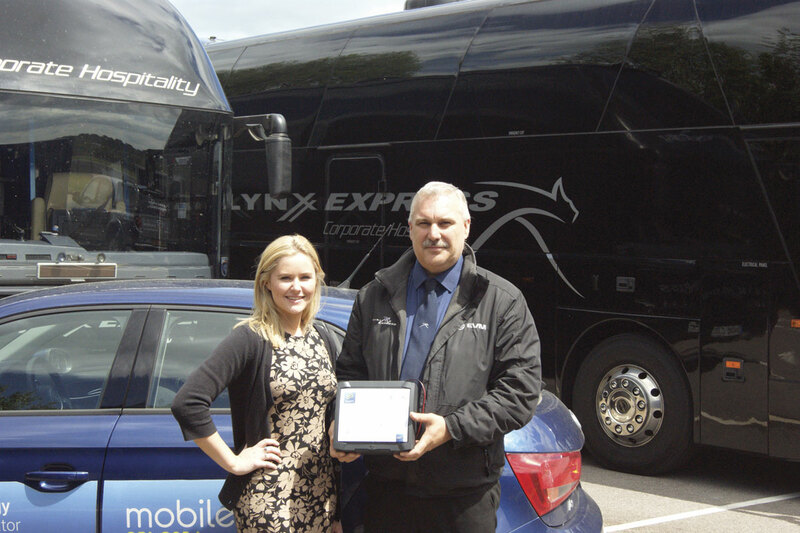 Corbin has been working with mobile technology since the early 2000s. Katie joined with limited knowledge of this technology, but now has expertise in the way the company’s products work. She is able to explain the technology and concepts surrounding it in a way that people not familiar with it can understand. ‘Operators understanding Wi-Fi is a massive benefit’, said Katie who believes that as tourism has grown in the UK, there has been even more need for Wi-Fi. ‘When people land in the country, one of the first things they will do is check the internet for transport onto further destinations. As operators become increasingly aware of this, the take up of Wi-Fi units for vehicles has risen,’ she said. Technology changes that have affected the take up of onboard Wi-Fi include the emergence of tablets. A lot of the original versions could only connect to the internet wirelessly, so to surf the web on a bus or coach, Wi-Fi connectivity was the only option. This sort of connection also makes for easier access to the internet, as many people trying to get online at once with their mobiles can overload local mobile phone masts, slowing connection speeds. For this reason, the company saw demand from commuter services rise, where some of the passengers had multiple devices trying to get online. A free Wi-Fi service would be better for these. One operator who they said had a very good grasp on how Wi-Fi can be used to their best advantage is Grey’s of Ely. Its MD, Richard Grey, has made full use of Mobile Onboard’s custom landing portal (the home screen for when passengers log onto the onboard internet) using it to market itself to customers. 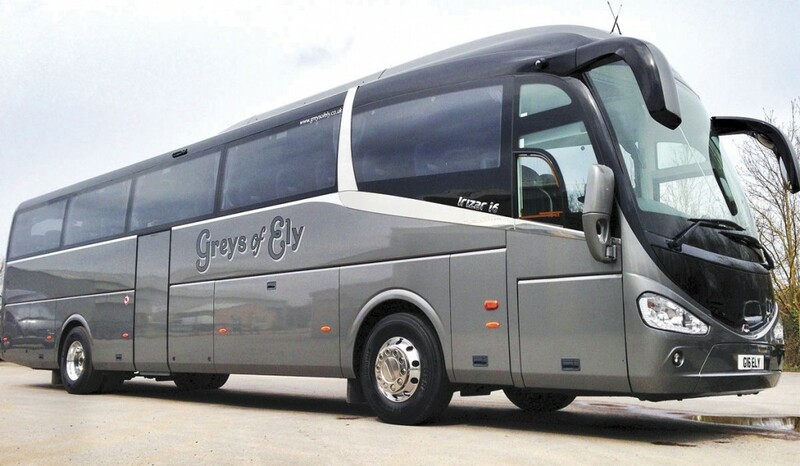 It allows users to get a quote for further coach travel and provides information on the fleet and other aspects of the business. One way Mobile Onboard is able to go beyond Wi-Fi is to connect its system to onboard screens. They have an accessory channel, which allows users to connect screens and potentially other equipment to the device. Corbin said this is a ‘powerful feature’. It has been used to provide the Beam Next Stop ‘talking bus’ technology. 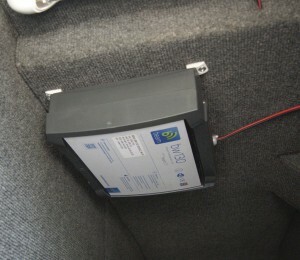 The system integrates with the company’s Beam units to provide passengers with a graphical next stop announcement system that can be accessed from their mobile device and/or large screens installed on the vehicle. Corbin believes interest is growing in integrating devices onboard, and that this is ‘all part of the emerging internet-of-things’. He said one of the benefits of integrating systems into one control unit, using one sim card for communicating from a single hub point, is that it saves money. Also, apps have to go through an approval process, which takes longer than Mobile Onboard who on average take only minutes to go online. It can set up an operator with mobile ticketing within 24 hours if required. Previously, it has been the bigger groups that have seen the benefits of mobile ticketing, according to Corbin. He also says it helps they have the funds available for rolling it out. However, what Mobile Onboard provides can be optimised for the smaller operator too. Its solution was described as ‘better’ with ‘more features’. It can set up a mobile ticketing system for from as little as £895, which includes every aspect of it. ‘Once we’ve done that all they need to do is market it to their passengers,’ said Corbin. Katie is pleased with the number of operators that have taken up the company’s mobile ticketing offering. Abellio Surrey is a good customer, as is Nottingham’s tram operator, NET. More recently, it has taken on The Green Bus. The company has been in discussions with the operator about this for ‘quite a while’ and has now launched it in its West Midlands and Surrey operations. Katie says it is now looking to roll it out across its full network in other parts of the country. So popular are Mobile Onboard’s systems proving that vehicle manufacturers are now increasingly specifying them as OE equipment. 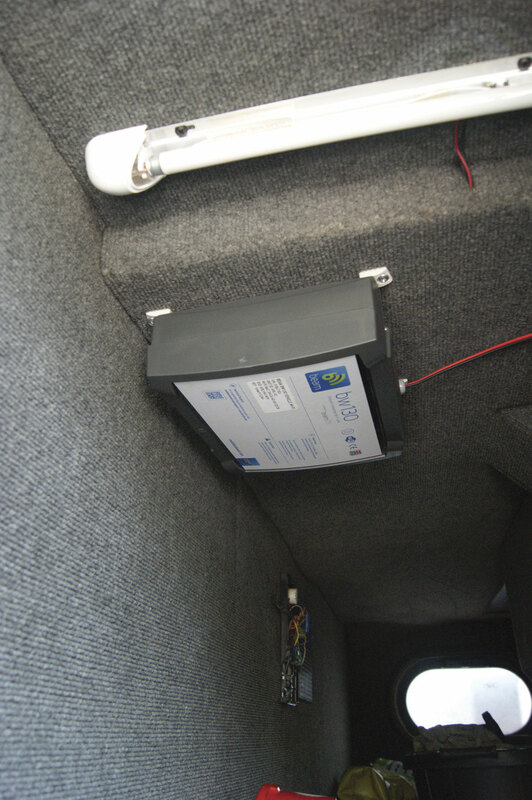 For instance, EVM now factory fit its Wi-Fi boxes and it has received a high number of sales from coachworks across the country. One of the reasons behind its attractiveness, according to Katie, is the fact it can be easily plugged in and out a vehicle, making it easy for it to be exchanged from one coach or bus to another, according to need. There is a lot of focus on aftersales too, with the company having flown technicians out to Scotland to iron out problems if required. Mobile Onboard has supplied its Beam Wi-Fi units to North Baddesley based Airlynx Express. The operator has the devices fitted to its highly specified coaches used for corporate travel.